This house, on Jupiter Island, Florida, was designed by William Diamond and Anthony Baratta, commonly known by the name of their company, Diamond Baratta. 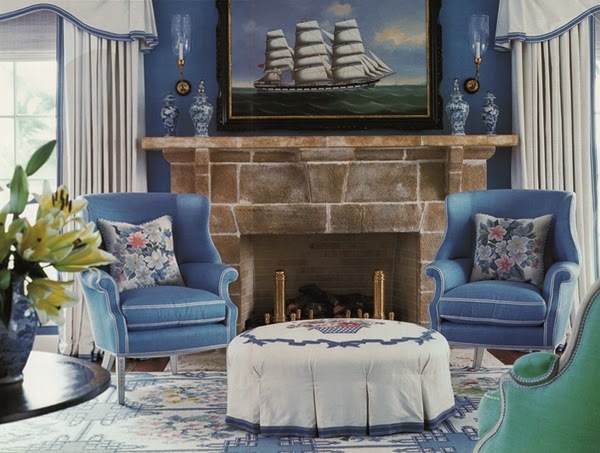 William Diamond has since retired, but Anthony Baratta is still busy designing unique spaces. 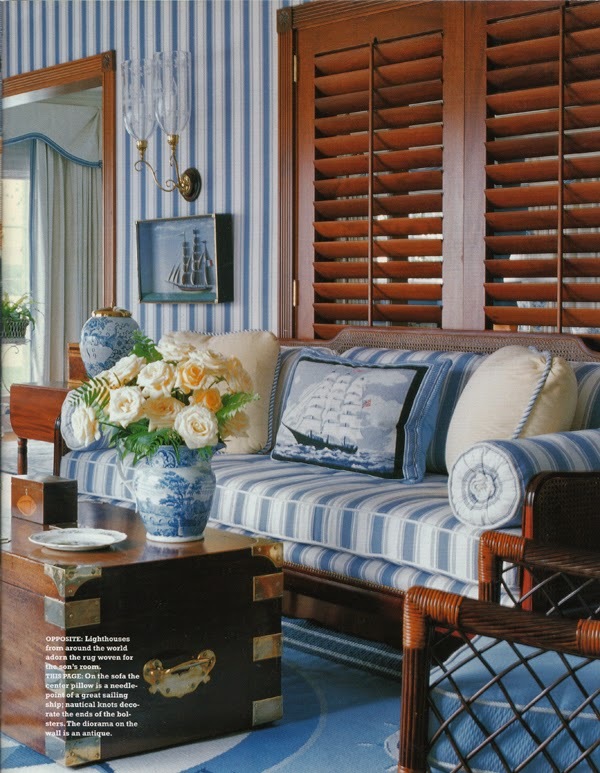 I'm not one for nautical decor (though I do love coastal), and this house is nautical through and through. 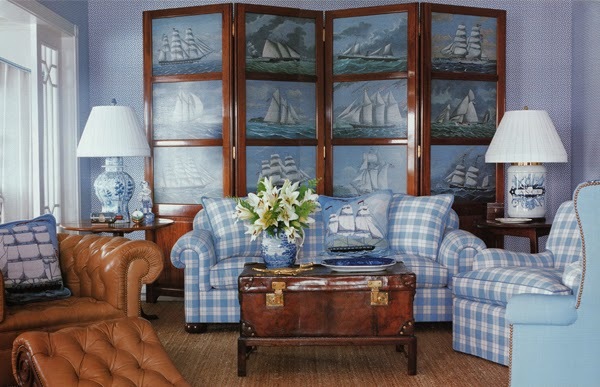 Even though nautical motifs aren't my favorite, there's so much here that I very much appreciate. 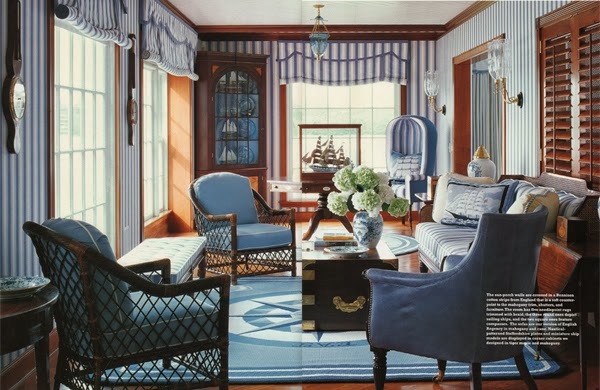 In this room, the rattan chairs and the light blue fabric piped with white looks so fresh. 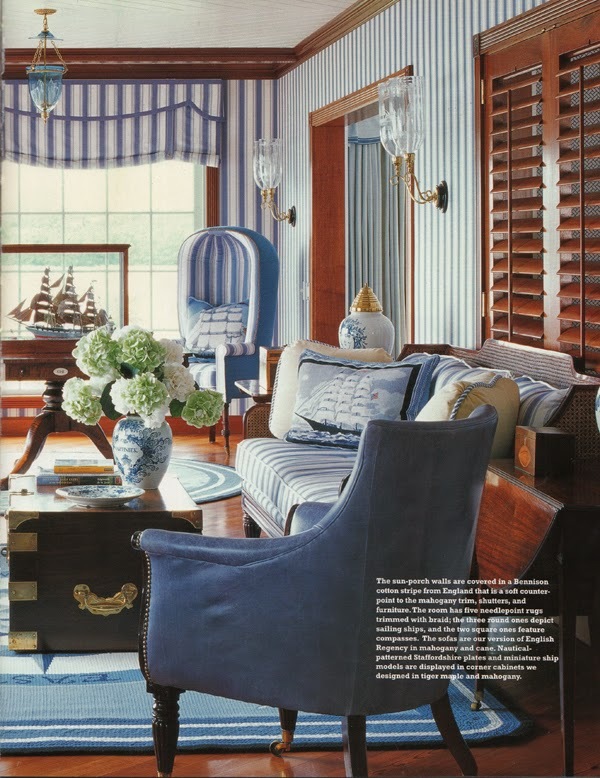 I also love the blue and white striped wall and how the stripe is repeated on the windows. 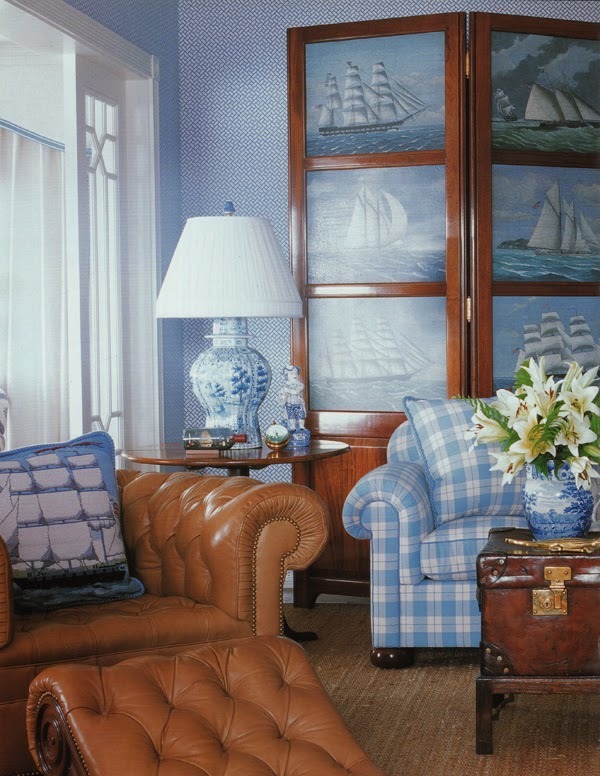 For me, there are just too many ships, but these varying blues with the wood tones are absolutely lovely together. I like the small scale Asian pattern on the wall mixed with the plaid. I just die for this wall color and the drapes. 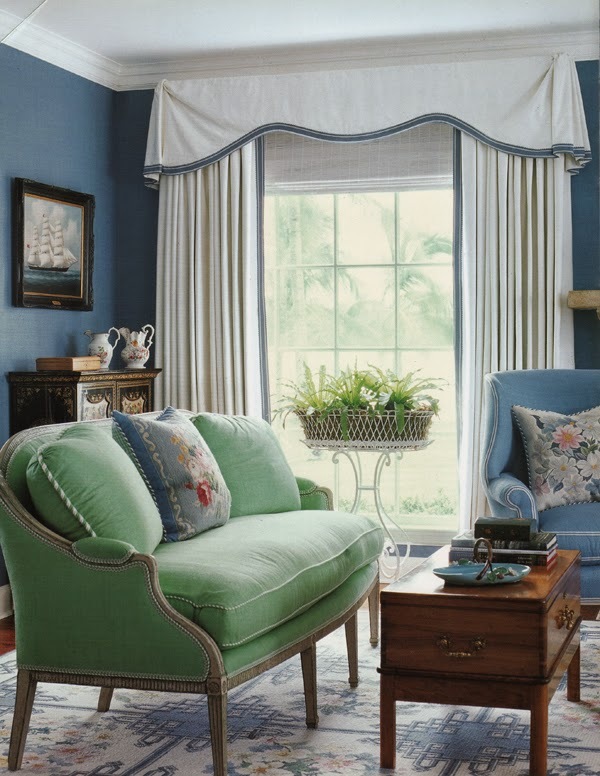 Plus the wing chairs. Oh, and that rug. Actually, the entire color palette is gorgeous. 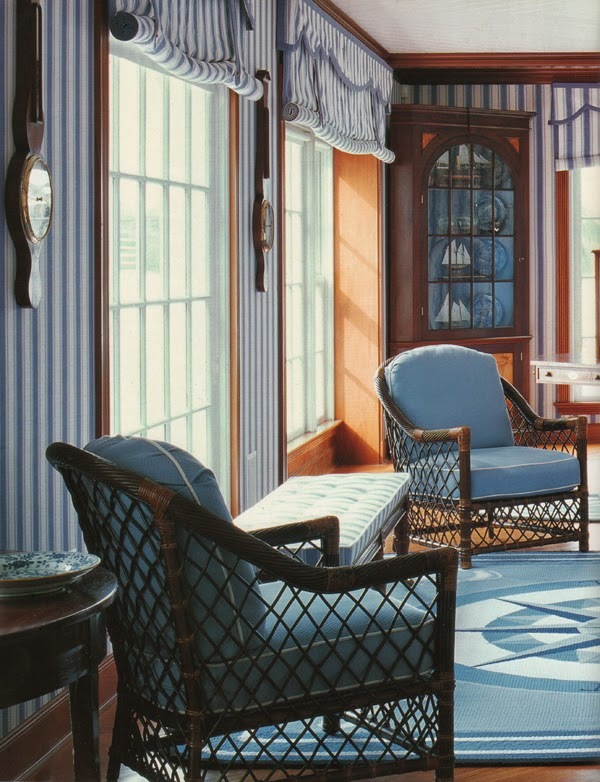 Because of the colors used here, this room full of mahogany eighteenth century furniture manages to not look stuffy. It's even fresh and happy. Again, the blue and white with wood. So pretty. 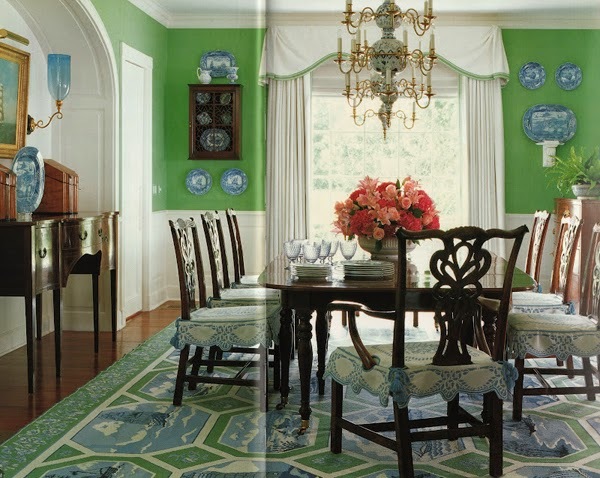 These photos are courtesy of the book Diamond Baratta Design.